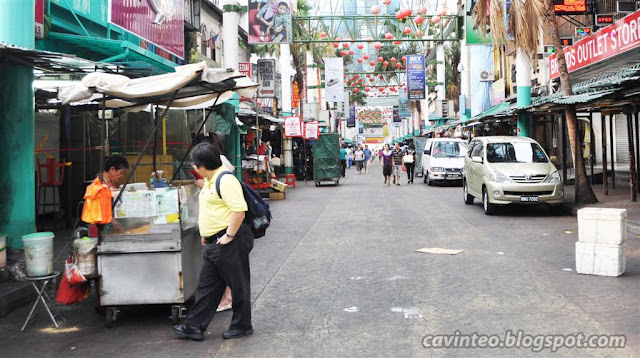 I once read from a blog that the most fantastic muah chee can be found at an unassuming 'push cart' like stall along Petaling Street, the heart of Chinatown in Malaysia. That memory remained hidden in a tiny corner of my brain and could have been forgotten if not for an almost empty street devoid of any commercial activity; except for one. 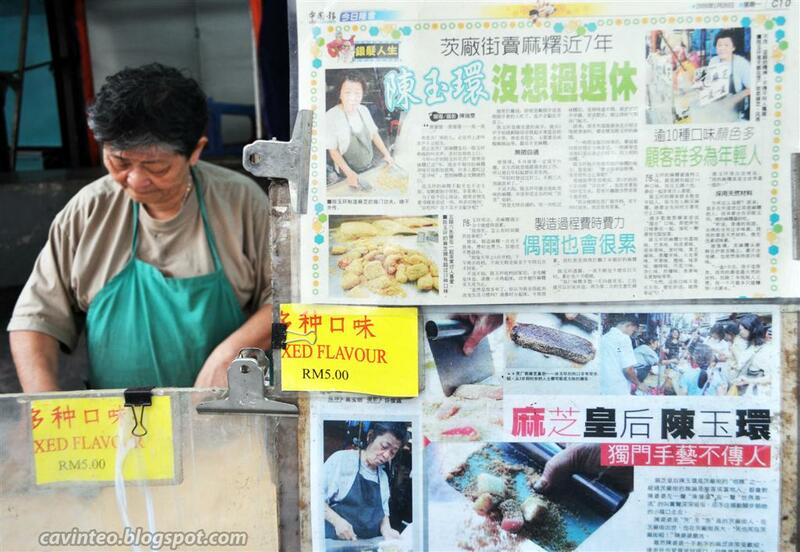 With newspaper articles plastered on one side and customers that continuously surrounded the stall, i knew this must be the muah chee that the Singapore blogger was referring to. 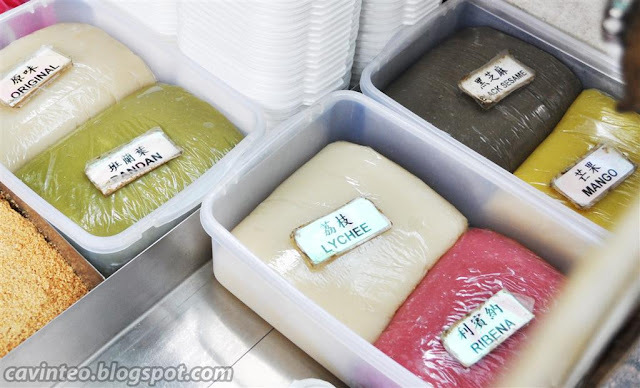 Another tell tale sign was the display of muah chee with different colourful flavours like pandan, lychee, mango, black sesame and ribena! To be honest, i am not exactly keen in trying out ribena and mango. But since everyone was asking for mixed flavours, i doubt there would be any harm in ordering a small box (RM 5 a box) just to try out. Even if i dislike the taste(s), i have my ways in persuading gullible Alex to take a bite! 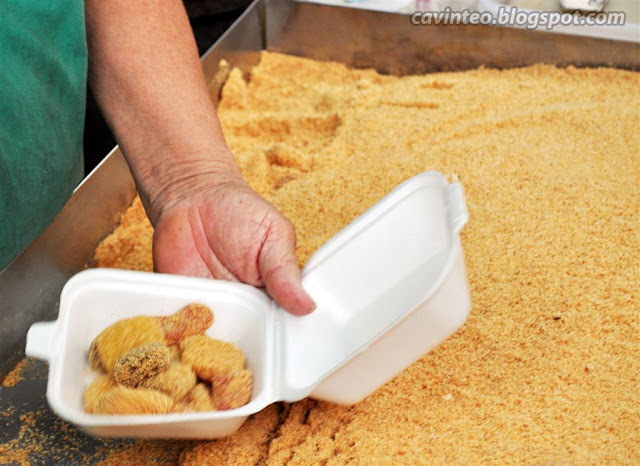 Covered with a heavy layer of finely grated peanuts, the muah chee were chewy yet not sticky and the distinctive flavourings were actually pretty fragrant without appearing to be overly artificial. 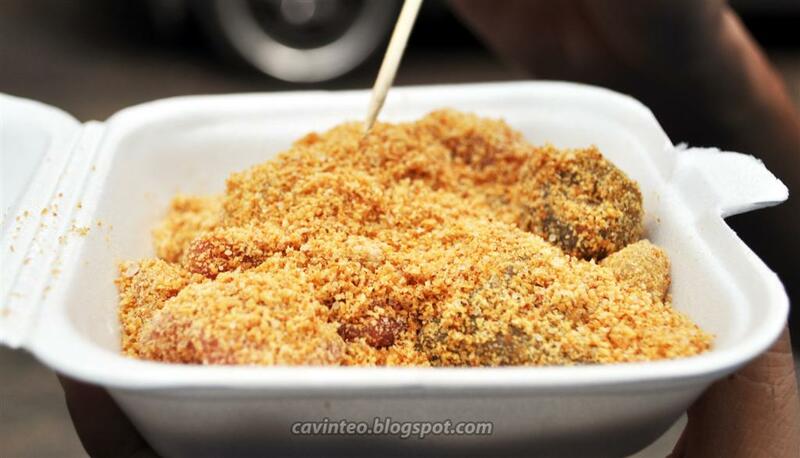 However, i would still prefer the original flavoured muah chee from Hougang Six Miles! If the Queen of Muah Chee is in Malaysia, there is no doubt that the King is in Singapore. What Was That Pipe Thing Behind The Fast Craft?